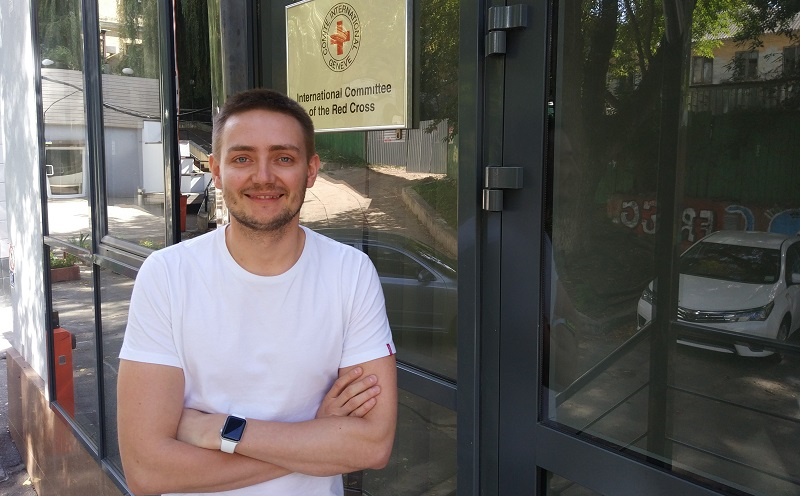 Vitaliy has been working at the International Committee of the Red Cross (ICRC) since 2014. Doctors in the conflict zone know him as a man who runs a large number of healthcare projects in the Donbas. 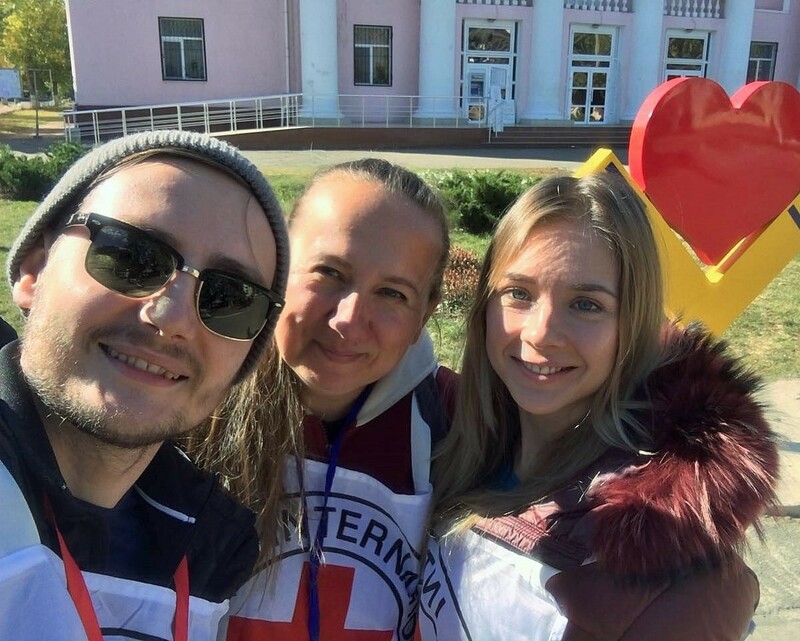 For his ICRC colleagues, Vitaliy is someone who cares about their health and provides them with advice. We spoke to Vitaliy about how he entered the field of medicine, about his impressions of working in the conflict zone, about sports and travel. Vitaliy, why did you choose medicine as your calling? As a child I was often sick and was regularly taken to see doctors. Those doctors who were treating me were leading specialists, and already from around the fifth grade I understood that I want to become a doctor myself. Were there other medics in your family? There were no doctors in my family. However, my grandmother used to be a medical volunteer at the time of the Second World War. She worked as a nurse and a medical auxiliary. Vitaliy, how did you join the ICRC? While studying at the medical university I was involved in volunteering projects. Already during my first year of studies I started to work as a medical auxiliary, then as a nurse in a surgery department and eventually as an anesthesiologist. The medical profession is closely linked to the Red Cross Movement. Even when a medical specialist is about to start working at a hospital, one of the mandatory preconditions is to meet with the Red Cross. In 2014, when I saw a vacancy for a medical specialist in the ICRC, I read about the organization and its mandate, and I was very impressed. Notwithstanding my lack of work experience in the humanitarian sphere, I decided to apply to that position. How does your experience of working in the hospital help you nowadays? Working as an anesthesiologist changed my life philosophy. During an operation, the anesthesiologist is looking after the patient while the surgeon is focused on the specific part that is being operated. The anesthesiologist is the one who needs to observe the conditions of the entire body, and to drive the overall process. I believe that it was exactly anesthesiology which taught me how to manage processes, which comes in very handy in my current role. Can you share some of your impressions from working in the conflict area? It is always pleasant when I enter a clinic or an ambulatory, which only several months earlier had no windows, doors or light, and now – everything is in place there, there are patients, there are doctors and nurses, the patients are receiving necessary medicaments… Such ambulatories often become the center of life of small towns or villages. Then you see that life has returned to a place which only recently was so far away from normal. That is my source of inspiration. How important is it for you to mentally switch off sometimes? That is very important. Doctors have a very stressful job, in which they constantly encounter suffering of other people. That is why it is quite important to know how to distance yourself from work, in order to have some clarity in your mind. I really like sports and I am always trying to discover a new sports activities for myself. A year ago, that was swimming, this year it is sprint running. And I do kayaking as well. Every weekend I go to the river and simply switch off my mind. The time of the workout is when I am isolated from everything, and in that sense it resembles meditation a little bit. My work is also one of my passions. A doctor always keep striving for more, needs to learn continuously because medicine is an area which develops very dynamically. Other than that, I love to travel. For me personally, presence of new stamps in my passport is a criterion on how successfully my previous year was. The most interesting countries I have visited are Norway and Iceland. I very much like cold climate and resting far away from cities. In those countries one can withdraw and simply spend some time living in a tent, observe and contemplate about fiords, hills, cosmic Martian-like landscapes. That is a place where I can find inspiration.